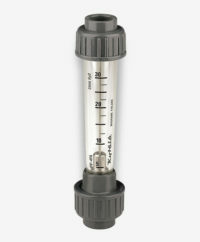 The Kytola Model HV is an industrial flow meter, designed for durability in chemical and process industry environments, agricultural applications, water treatment plants and flow measurement applications using PVC piping. The Model HV is a reliable, low-cost instrument, ideal for liquid and gas flow monitoring. Other products in this range include the Model HT.